Ubuntu is the distribution that most people have heard of and consequently it is the first Linux based operating system that they try. The fact that Ubuntu is number 2 in the rankings might actually be down to the fact that because most people have heard of Ubuntu they go straight to the downloads page rather than to Distrowatch. This is of course opinion and not necessarily fact. I believe that Ubuntu is delivering everything that Microsoft wanted Windows 8 to achieve. The Unity desktop once you get used to it is a slick desktop environment and it is easy to see how it could work on desktops, laptops, tablets and phones. Ubuntu isn’t for everyone though. The fine line between integration and intrusion is encroached upon by Ubuntu and if you aren’t comfortable with seeing adverts for products within your desktop experience then you might want to move on to another distribution or one of the other buntus such as Kubuntu, Lubuntu or Xubuntu. Unlike Linux Mint the emphasis is about testing the boundaries. The desktop, although clearly not to some peoples tastes, is forward thinking and modern. Add to the mix the integration of Steam for gaming and you have a really good operating system. 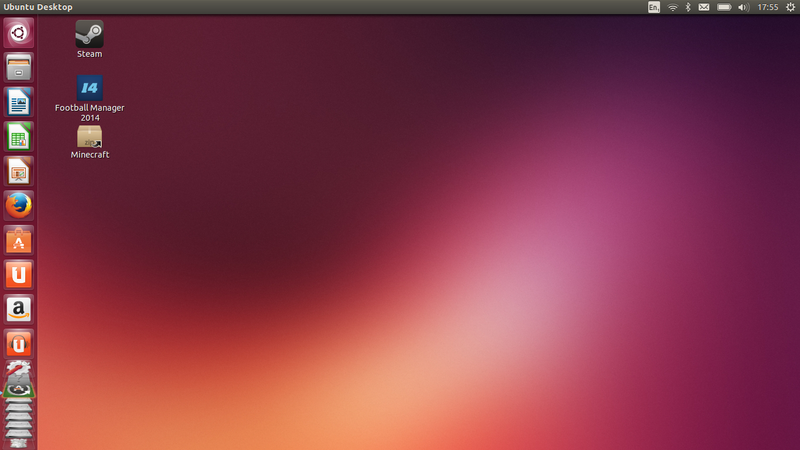 Ubuntu is definitely a Linux based operating system for the everyday user.